The tainting compounds can’t be washed off. With much less overall skin contact, the juice from white grapes can be quickly extracted and clarified. But, to get the color right, red wines are made with prolonged contact with skins, so taint compounds are a permanent part of the wine. Filtering and fining techniques have been used to try to clear the juice of offending chemicals but, as Tom Collins, a wine chemist based at WSU Tri-Cities, says, the problem is much deeper. Sugar-sequestered smoke particles are very similar to other desirable compounds. Filtering techniques, such as reverse osmosis, remove both the good and the bad compounds, resulting in a wine that Collins charitably describes as “neutral.” This bland concoction could be blended with unaffected wines to produce something consumable but, even then, trouble lurks. Over time, the acidity of bottled wine cleaves the sugar from the particle, releasing a new wave of off-flavors and aromas. 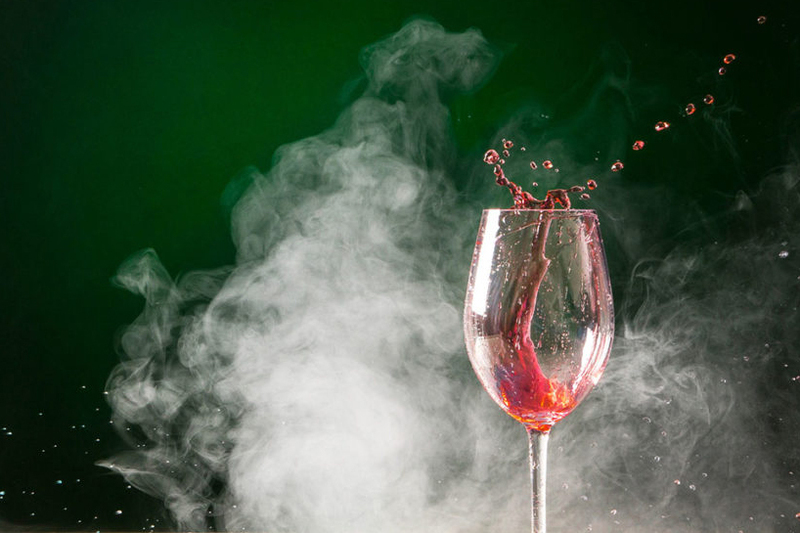 Collins points out that not much is really known about smoke taint — except that it tastes nasty and can have a negative impact on the bottom lines of both growers and winemakers. Collins and his team are engaged in an ongoing project that seeks to answer several big questions: How much smoke exposure, and at what period in grape development, is too much? And what can be done to clean up tainted fruit so that it can be used to make a useful product? Collins and colleagues have constructed an in-vineyard method of controlling and testing smoke exposure, with the aim of answering the first question. And the second, he suggests, might lie in spit. Research-wise, it’s early days — but the pressure is on. Fires in Australia, California, and Washington state threaten a beloved industry and there is much interest in finding ways to salvage fine wines from tainted grapes.